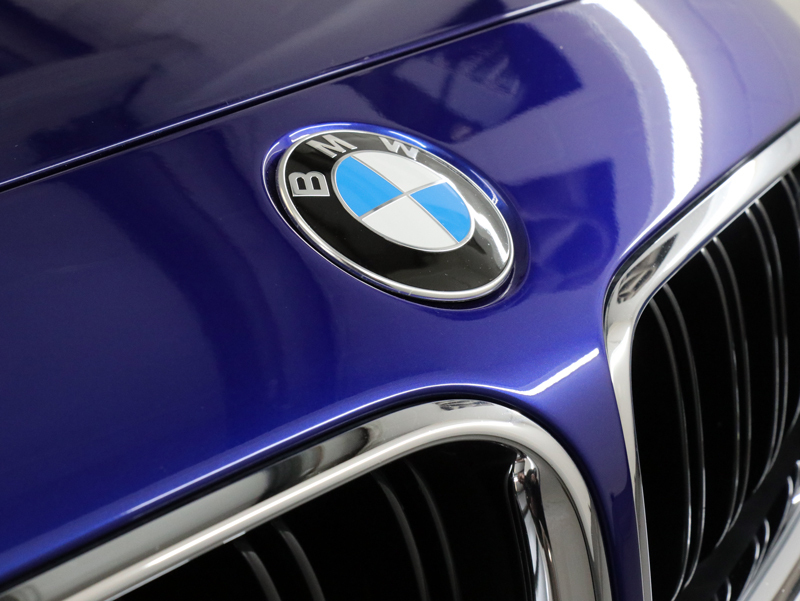 BMW’s M badge represents a beautiful blend of elegance, luxury and superior build quality with an understated appearance that belies its athletic ability. The 2016 model uses a twin-turbo 4.4-litre V-8 capable of delivering a peak 560 horsepower between 6,000 and 7,000 rpm, as well as producing a peak 500 ft lbs of torque at just 1500 rpm all the way up to 5750 rpm. 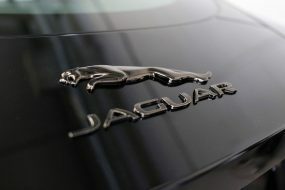 It’s enough to power the M6 (weighing in at just under 2000kg) from 0-62mph in 4.2 seconds. The M6 has a number of features making it worthy of the ‘M’ designation including launch control, active differential capable of distributing torque variably between the two rear wheels, electronically controlled shocks, numerous driver modes, cross-drilled performance brakes and specially tuned Servotronic steering sensitive to speed. 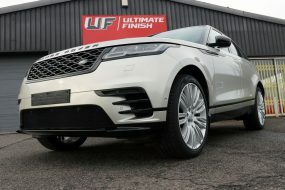 Add in performance-tuned electronic traction and stability control and a set of ‘F1 paddles’, and you have a car ready to take on the track as well as make a powerful argument for taking the scenic route home from work each day. To the observant eye, the M6’s exterior also bears subtle testimony to the performance: aerodynamically-shaped side mirror caps in high-gloss black finish, aggressive intakes, carbon fibre roof and quad-exhaust tips in dark chrome are all there to see. On the inside, the M6 has added touches to the already luxurious cabin, with custom sports steering wheel, gearshift lever, race-inspired instrument cluster and heads-up display. The seats are trimmed with exclusive Nappa leather in Cognac/Black and Fineline Brown fine wood trim. Add a sprinkle of indirect LED light sources and illuminated door sill finishers and the term ‘mood lighting’ takes on a whole new meaning. 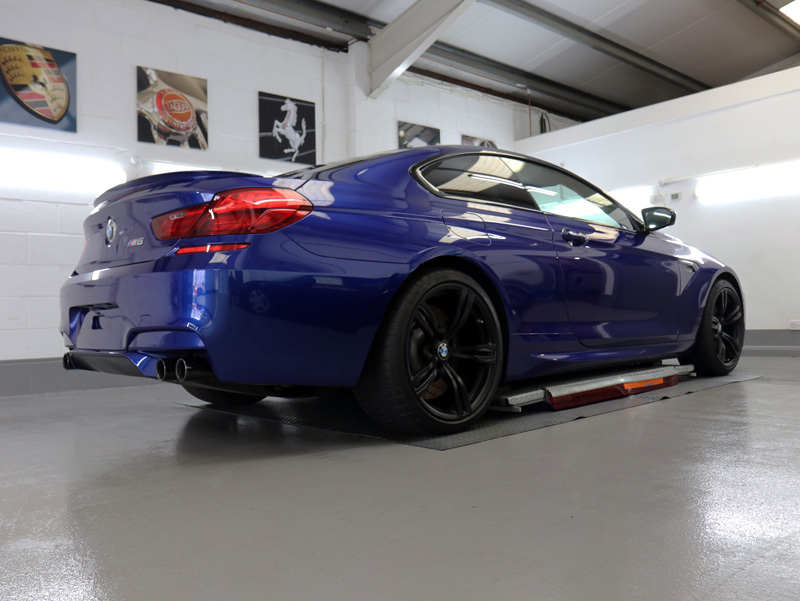 This San Marino Blue M6 Coupe recently arrived at UF Studio for a number of detailing services including a Gloss Enhancement Treatment for the paintwork and final protection using Japan’s finest ceramic sealant, Kamikaze Collection ENREI. Kamikaze Collection is a Japanese designer and manufacturer of innovative car care solutions. 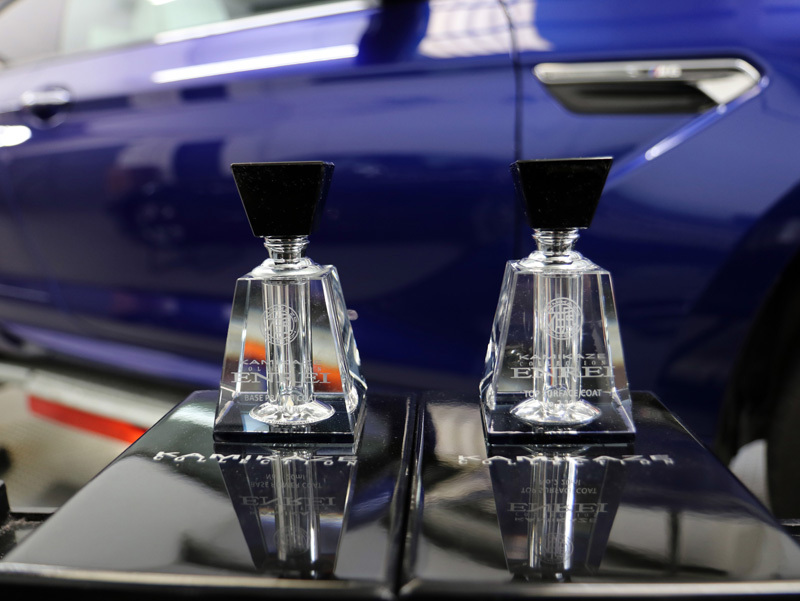 Each product has been engineered to tackle a specific challenge faced by detailers, challenges other car care manufacturers have yet to address. Kamikaze Collection’s mission is to create products that bring something new to the industry, rather than releasing like for like versions of similar existing products. Their ethos is quintessentially Japanese: they adopt the ‘kaizen’ method, striving to make continual improvements throughout the range. 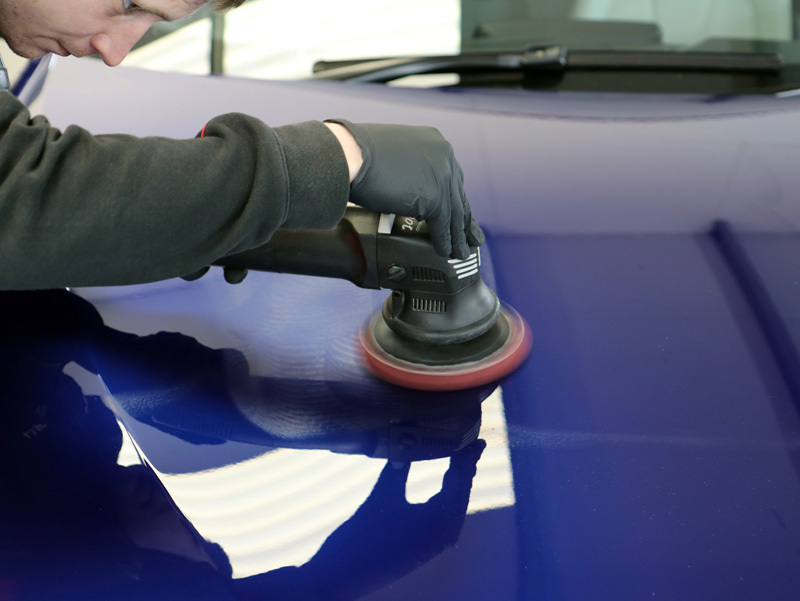 ENREI is a prime example: it’s a two-stage protection system using two layers that complement each other and work in harmony to boost protection for paintwork while adding gloss. No.1 Base Coat has been engineered to penetrate clear coats to bond securely and have a high chemical affinity for the No.2 Top Coat, effectively cementing the two layers together. The result is a closely bonded protective layer that better repels not only water and contamination but also inhibits the formation of water spotting – a common issue with many other ceramic coatings. On arrival, the M6 was treated for general fallout and greasy contamination using Bilt-Hamber Surfex HD. 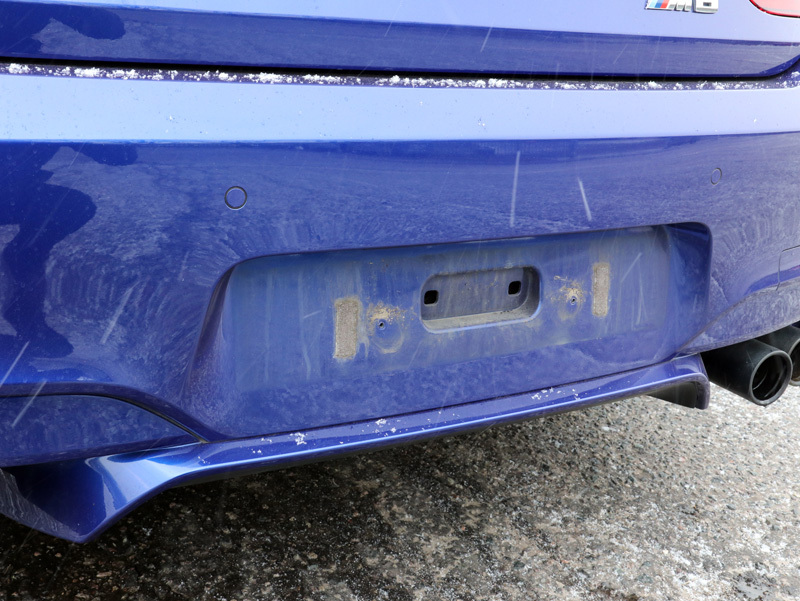 As natural traps for dirt, the registration plates were removed. A trolley jack was used to lift the car at each corner in turn, enlarging the gap between the wheels and arch to allow for thorough cleaning. 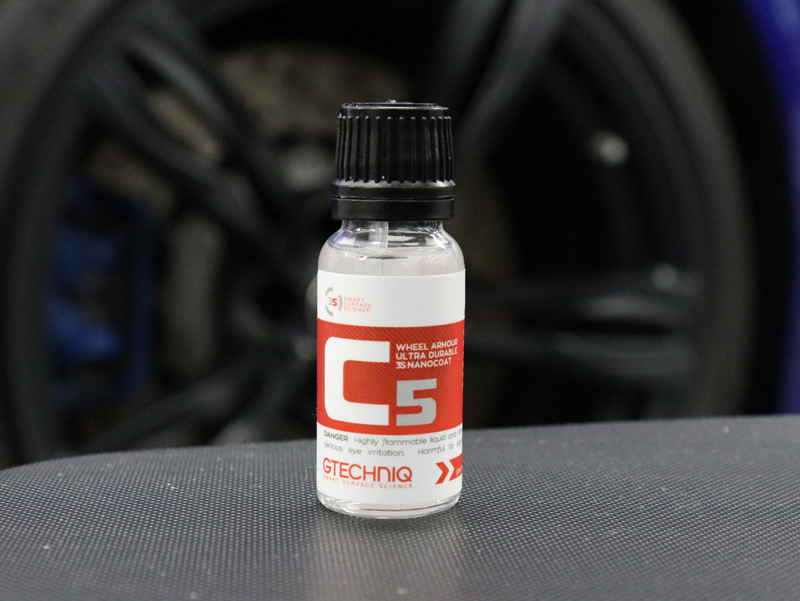 Gtechniq W6 Iron & General Fallout Remover was applied and allowed to dwell, acting on brake dust deposits, causing them to break freely away from the surface of the car when rinsed with a pressure washer. 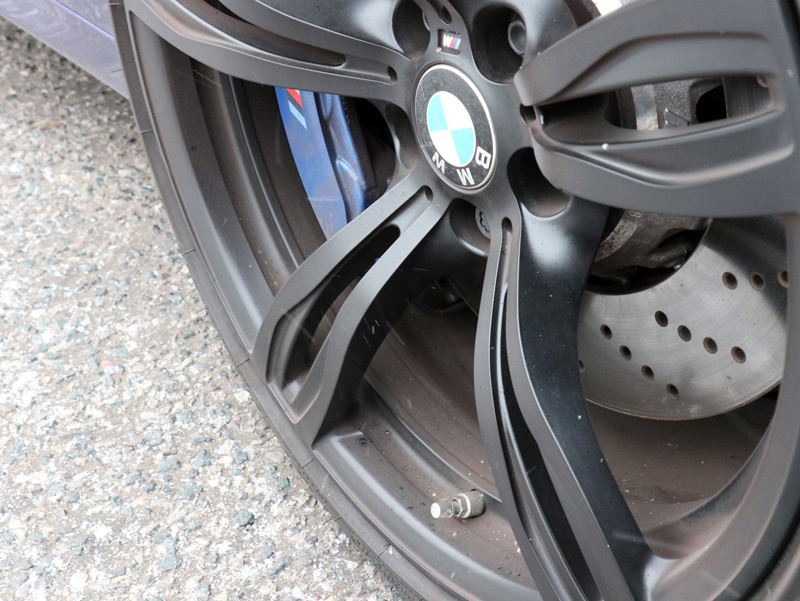 The matte finish wheels had attracted a lot of dirt and contamination and the calipers were covered in brake dust. The wheels were washed thoroughly, using Wheel Woolies to reach through the spokes to clean the rear of the rims. The soft microfibre heads gently lift dirt away and trap them within the deep pile, keeping the contamination away from the wheel’s surface. 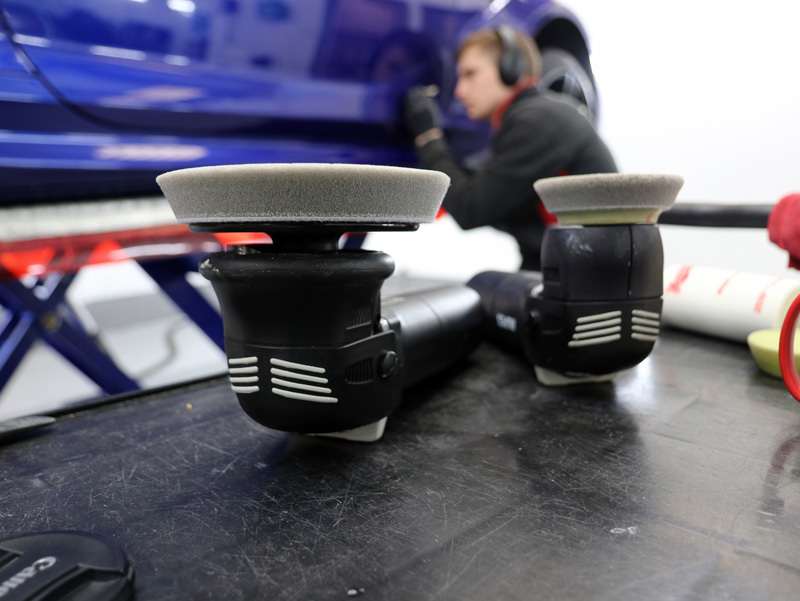 Once the wheel arches and wheels had been decontaminated, the rest of the bodywork was treated ensuring all bonded fallout was removed, leaving the paintwork feeling as smooth as glass to the touch. Then, using a foam lance attached to a Kranzle K-1152 pressure washer, Nanolex Pre-Clean Concentrate was applied to the bodywork and wheels. This high-foaming, alkaline pre-cleaner contains a carefully balanced formula of surfactants and solvents designed to loosen grime and remove stubborn dirt, insects, oils, grease and soot. Nanolex Pre-Clean also contains corrosion inhibitors so it’s ideal for use on vehicles with stone chip damage or deep scratches. As the foam is rinsed away, the particles are also removed. 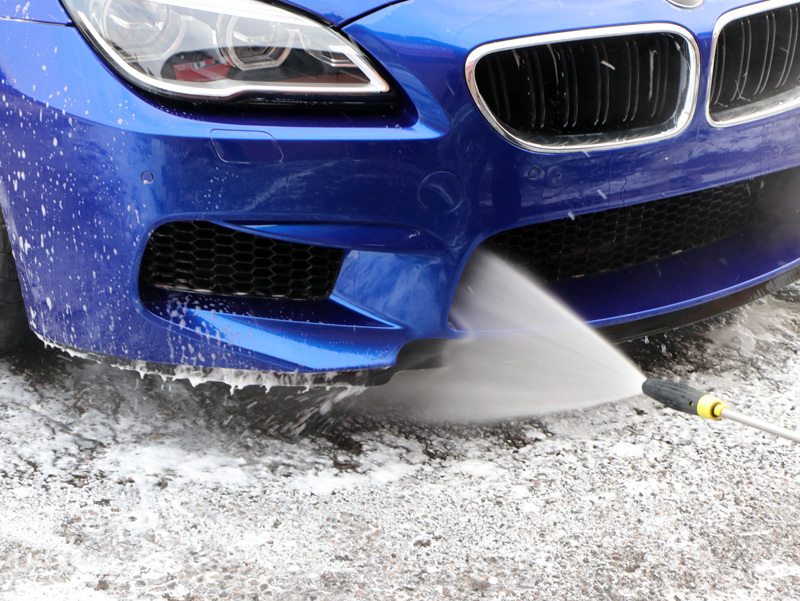 This makes the main wash process safer for paintwork by eliminating the elements that may become trapped in the pile of a wash mitt and inflict swirl marks on the clear coat. Using an Ulti-Mitt Double Sided Merino Wool Wash Mitt and Nanolex Pure Shampoo, the M6 was carefully washed. Employing the Two Bucket Method, the Ulti-Mitt is loaded with soapy wash solution from a wash bucket and a section of the car was cleaned. The mitt was then rinsed in pure water, kept in a separate rinse bucket, and rubbed across the Grit Guard placed in the bottom of the bucket. The Grit Guard dislodges dirt from the mitt’s pile, allowing it to fall away to the bottom of the bucket. After wringing out the excess water, the mitt is then dunked back into the wash bucket and reloaded with soapy solution before the process is repeated until the car is completely clean. 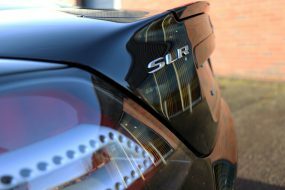 This method further helps protect paintwork from swirls by avoiding the reintroduction of dirt onto the panels from contaminated water. 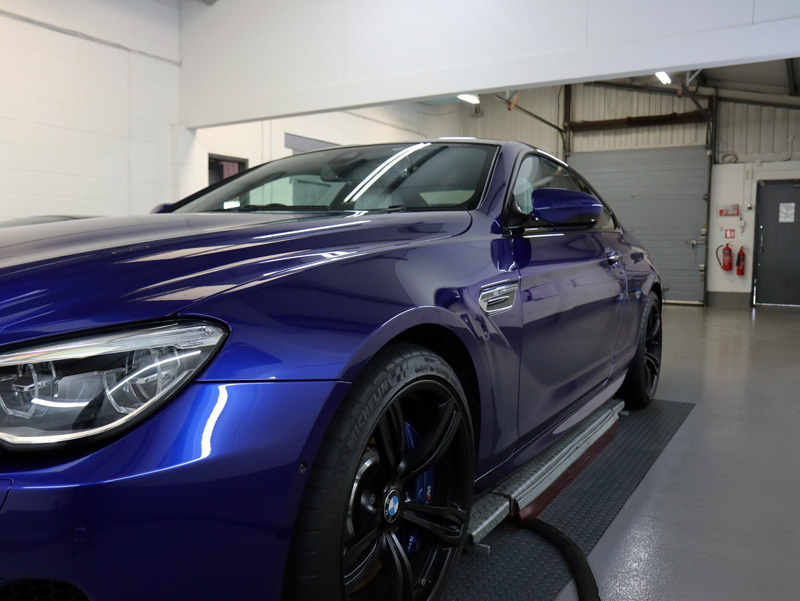 The M6 was rinsed free of suds before an Aqua Gleam De-ionising Water Filter was attached in-line to deliver a final pure water rinse. The car was then brought into the Studio, placed onto a hydraulic ramp and lifted for easier access. 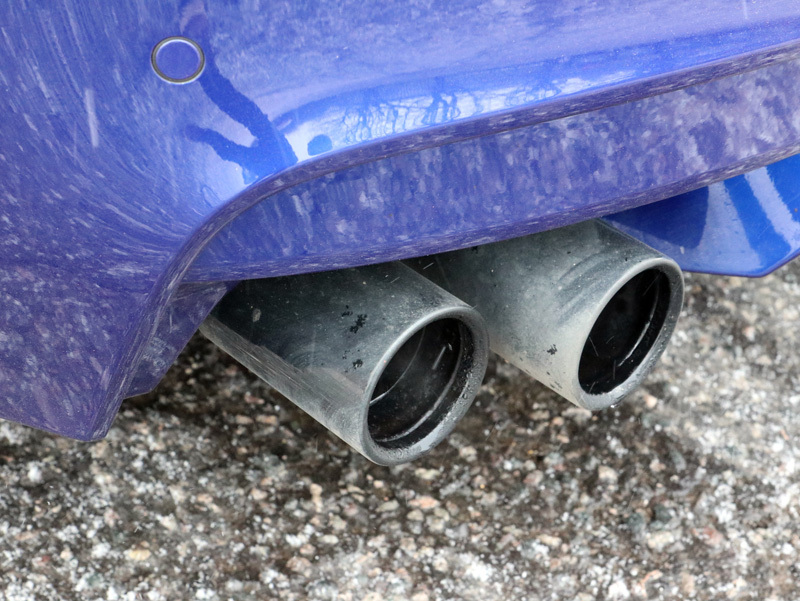 A BigBoi BlowR Pro car dryer was used to chase water off the panels and from around mirror housings, badges, between the fins of the kidney-shaped grille and from the wheel spokes and nuts. The wheels were removed for further decontamination and cleaning before the calipers and area under the wheel arches were also blown dry. The paintwork was inspected using SCANGRIP lighting. 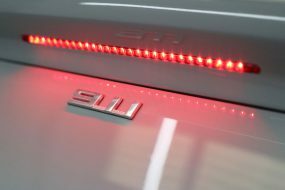 These lights have been designed with the automotive and detailing industries in mind. Using COB (Chip on Board) technology, they provide a uniform spread of light, rather than traditional lighting that has a focal point and becomes more diffuse as the light spreads. 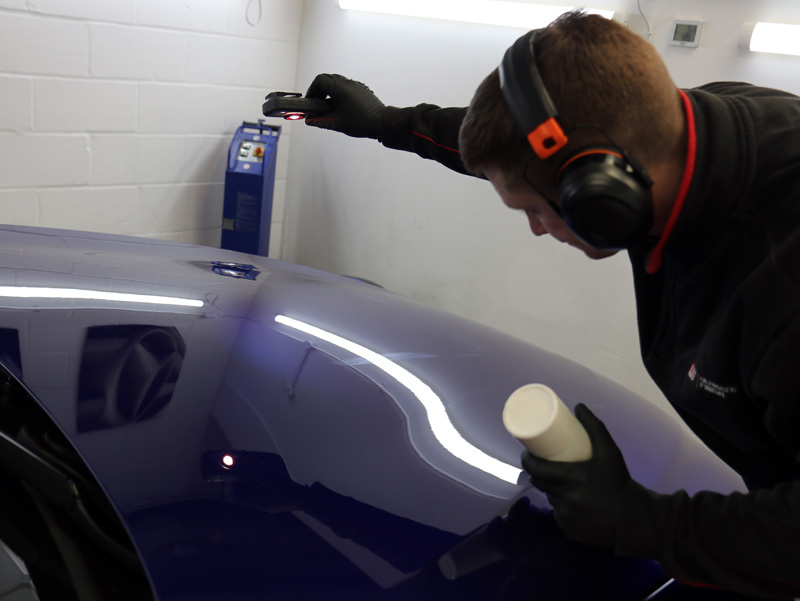 Most of the SCANGRIP lamps provide both warmer light (4500K) and colder light (6500K) options, to perfectly illuminate paintwork defects, no matter the colour of paintwork being corrected. The M6 was inspected carefully and details of problem areas noted on a Vehicle Appraisal Sheet for reference during machine polishing. Multiple paint depth readings were taken over each panel and noted on the vehicle appraisal sheet. All panels showed uniform and healthy readings so the machine polishing process began. For the correction of this hard paintwork, initially, a RUPES LHR 12E Duetto machine polisher was chosen with Menzerna Heavy Cut 400 compound on a Kamikaze Collection Banzai Dynamics Polishing Pad. After a few passes, the Banzai Red pad was changed for a RUPES Green Medium Polishing Pad and Koch-Chemie Heavy Cut H8.02. Finally, using the RUPES UHS One-Step Polishing System, the enhancement started to take shape. 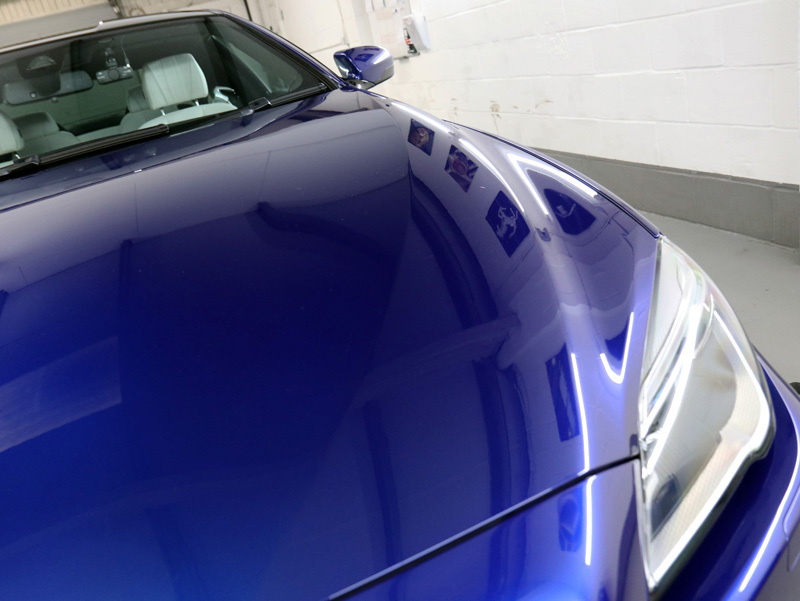 The RUPES UHS One-Step Polishing System produced a brilliant, high gloss shine, bringing out the metallic flake of the San Marino Blue pigment. 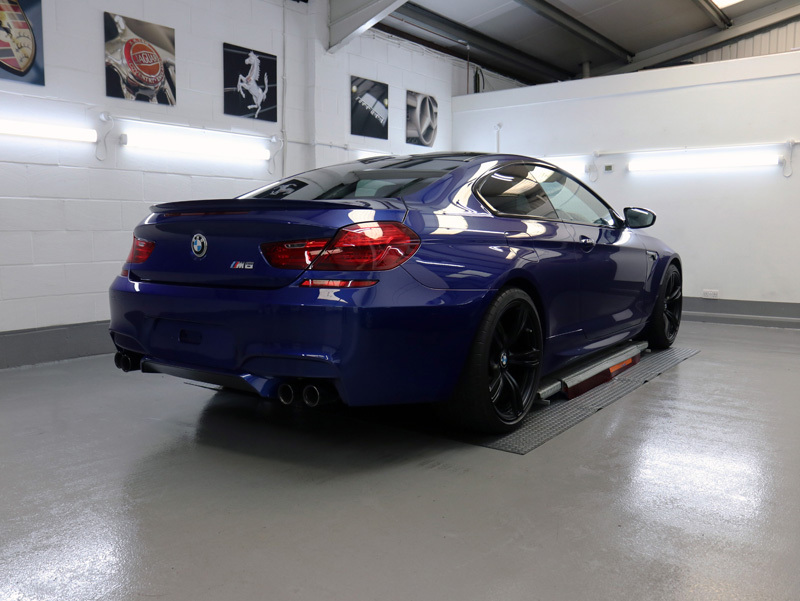 All the surfaces on the M6 were misted with Gtechniq Panel Wipe and the excess removed using a soft microfibre. This removes polish residues and prepares the paintwork for the protective ceramic coating. ENREI No.1 Base Coat Primer was applied by hand and buffed off before being allowed to cure for and hour. ENREI No.2 Top Coat was then applied. 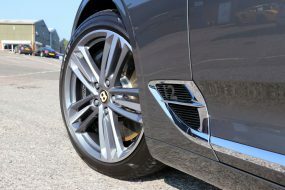 In addition to the Gloss Enhancement Treatment, he owner had requested Leather Protection and an Alloy Wheel Protection Treatment. So, whilst ENREI was curing, the wheels were once more treated with Gtechniq W6 to eliminate any remaining iron particles. Then, a lubricant was sprayed on and the wheels clayed to remove stubbornly bonded iron and tar deposits. 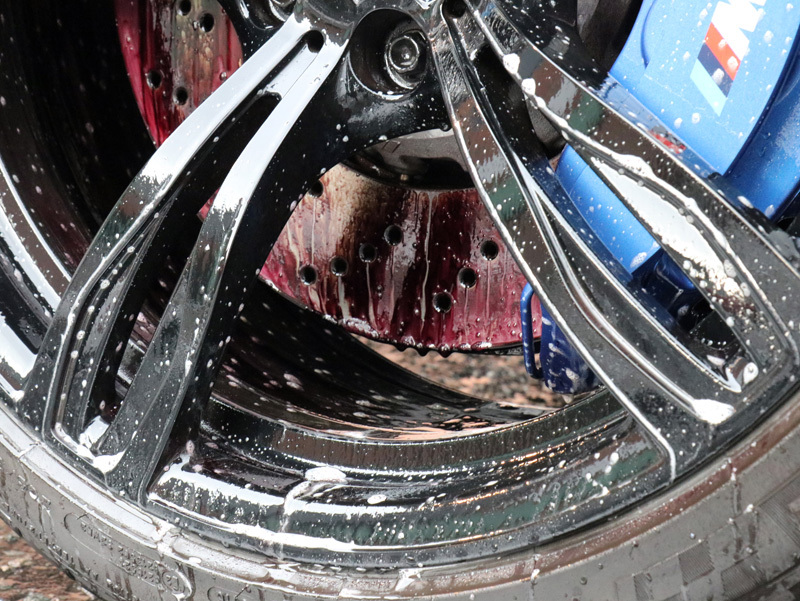 When all the surfaces felt smooth to the touch, the wheels were washed using Pure Shampoo and dried using a BlowR Pro. After wiping with Panel Wipe, the wheels were protected with Gtechniq C5 Wheel Armour. 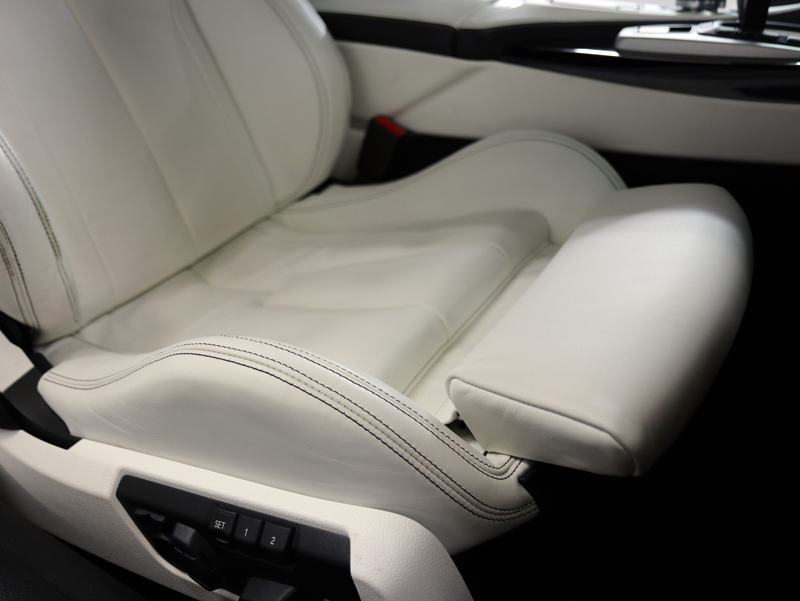 The Nappa leather interior was cleaned using Colourlock Strong Leather Cleaner. The foam is applied to the upholstery and worked in using a leather brush to lift dirt out of the grain. The foam is wiped away and the leather allowed to dry. 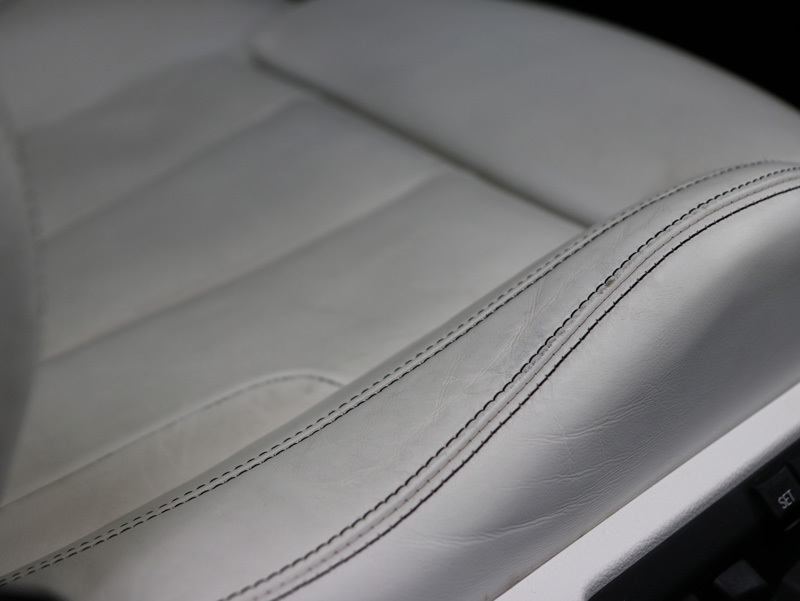 Colourlock Leather Shield is then sprayed on to provide a hydrophobic, dust repelling, abrasion resistant barrier that helps protect the leather from becoming stained or brittle from the damaging effects of UV. The wheels were replaced and the M6 was ready to go. 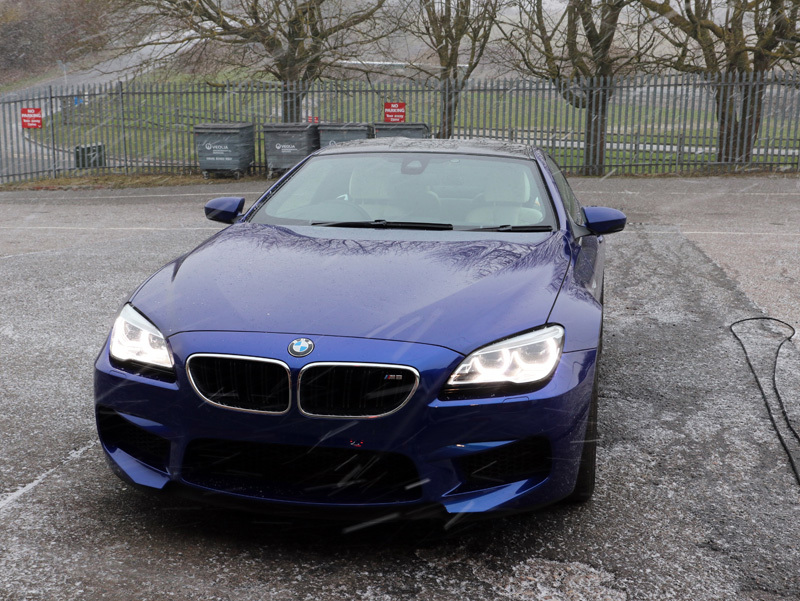 The ‘Beast From The East’ might be in full swing in Kent but fully protected, the M6 was ready to meet the Beast head on!